Day two of the Tee Shirt Week! It's a little geeky, but probably true of anyone who draws with a tablet. 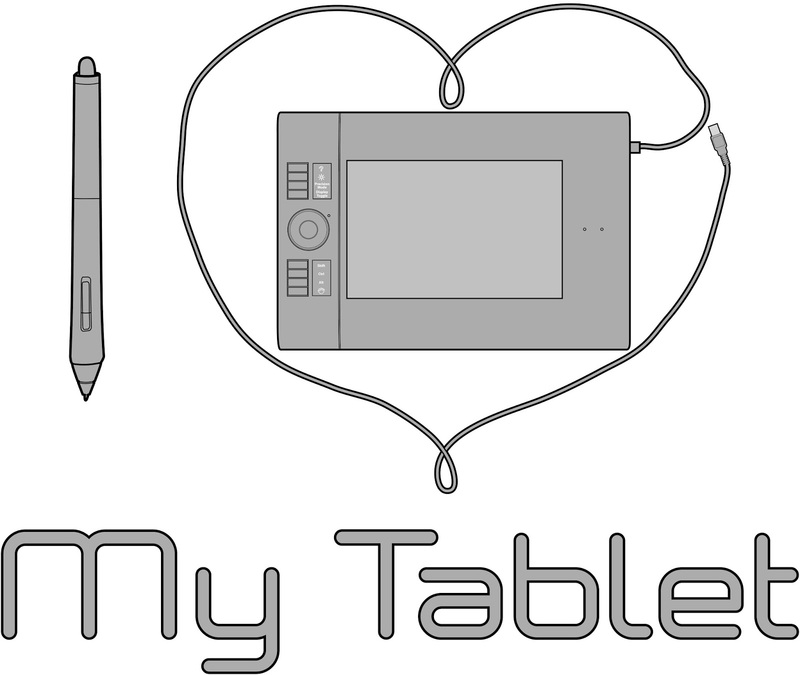 Today's tee is "I Heart My Tablet." I'd never really used a tablet until I got my first job in Fashion, and even then I was pretty much forced to have one installed at my desk. I was resistant, but once I got the hang of it, I was hooked. Now, I have one at home and one at work, and I'm in love. 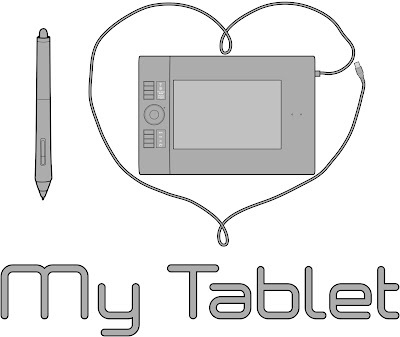 The "I Heart My Tablet" tee is the perfect gift to yourself or anyone you know who loves their tablet. Once you this gem, it's the perfect way to show everyone just how cool you really are. You have a computer, and you know how to use it. Not only that, but you have extra things that plug into your computer to help you draw magnificent graphics and illustrations. I suggest wearing this to places where you're sure to meet people who also use tablets. Otherwise, they may think it's a poorly-drawn iPad.